1. 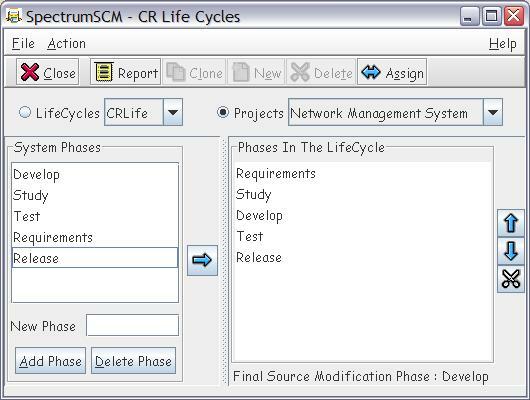 This screen allows you to assign a life cycle to a project. A Life Cycle is a connection of work phases with a well defined point of entrance and exit. 3. 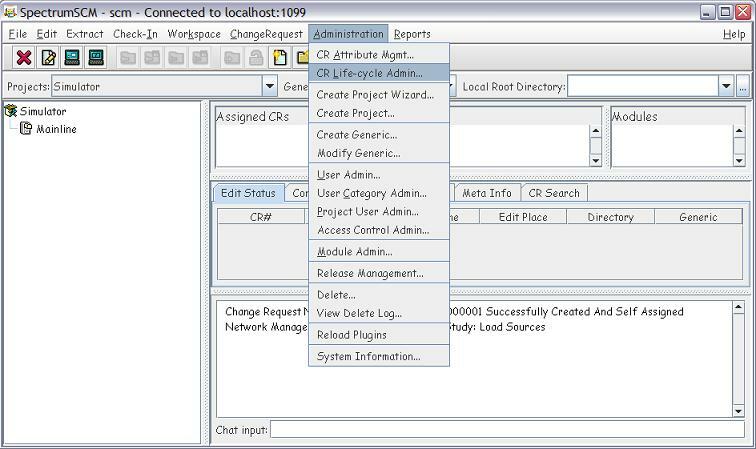 Click on the Projects radio button, and select a Project from the Projects list. 5. Select the desired life-cycle then click OK button. 6. Select the last development phase then click OK button. 7. You will be notified that the Life-Cycle was assigned correctly. 8. 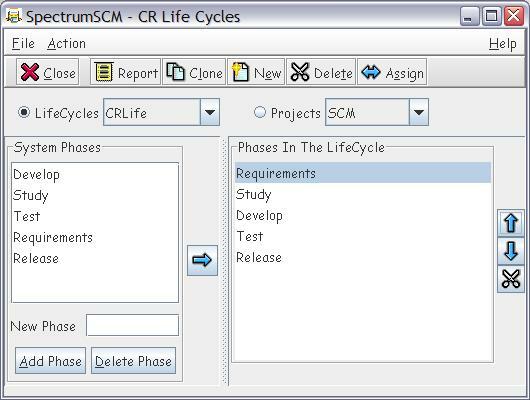 Click on the Close button to return from the CR Life Cycles screen.